Refreshingly cool on a hot day! 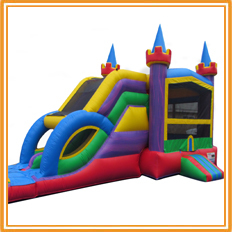 These inflatable wet bounce and slide options will quickly become your centerpiece attraction at any event. 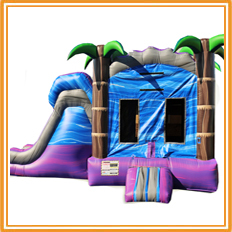 Their large, impressive size demands attention and bring out the laughter in children and adults! All of our slides are cleaned, sanitized and properly installed for your guest's safety.